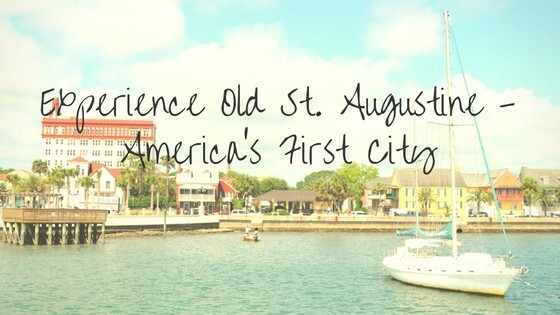 St. Augustine is America’s first city. As such, it has a rich history with plenty of monuments located throughout town. As a guest of Beacher’s Lodge, you can enjoy these historic locations and learn about how St. Augustine became the thriving city that it is today. Here are some of our favorite places to check out. The lighthouse is one of St. Augustine’s most popular attractions. During the day, the lighthouse is open from 9 AM to 6 PM with behind the scenes tours happening from 11-3. In the evenings, a special ghost tour takes place, featuring some of the area’s most shocking history. While the museum and views of the lighthouse are truly spectacular, be prepared to climb the 219 steps to the top if you want to see the Bay! Aside from the lighthouse, you may be surprised to find that the city has also done a remarkable job of protecting St. Augustine’s original architecture as well. You can tour the very first house, general store, and jail. You will learn about how these buildings were constructed, and some of the families who made a name for themselves in the area at that time. The Fountain of Youth is an extravagant park built to commemorate Ponce de Leon and his arrival in St. Augustine. This landmark will take you all the way back to the year 1513 as you take a wild journey through the legend of the Fountain of Youth. This is a perfect attraction for people of all ages to enjoy living history and an incredible story all at once. Residing in a true to form speakeasy of historical fame, the Prohibition Kitchen is the perfect way to punctuate your day with a delicious meal. You will be surrounded by the imagery and legacy of what it meant to live on the edge during the Prohibition era. While the food is that of a modern gastropub, the environment will truly take you back to that most contentious period of American history. St. Augustine is a city alive with many trails back to its earliest history. The city features some of the most well-preserved architecture and landmarks in the United States. When you book your stay at Beacher’s Lodge, you have access to all of these incredible attractions and a chance to explore what makes St. Augustine, America’s first city, so legendary!